I decided to try this stall that offers BBQ and Cze Cha dishes in a coffee shop out of convenience. I ordered their Salted Egg Chicken ($12) and BBQ Stingray ($12). Both dishes came about the same time. The relatively fresh BBQ Stingray was rather good and was served in a good portion, a bigger portion is available at $15, $20 and $25. 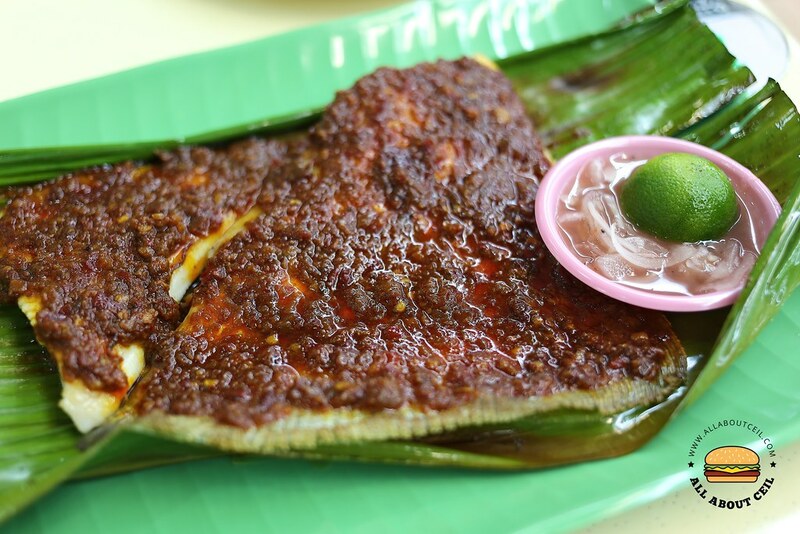 It was nicely grilled then topped with their spicy sambal sauce and served on a piece of banana leaf. The well-balanced spiciness is good even for those that have a low tolerance for spicy food. 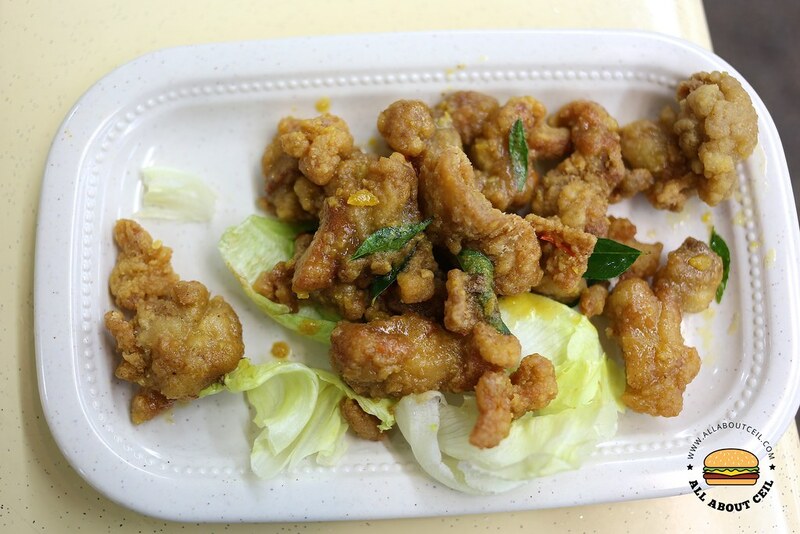 The Salted Egg Chicken did not have much of the salted egg flavour though bits of the salted egg yolk could be seen scattered on the chicken pieces. It was also not as crispy as expected. This was amongst the worst of salted egg dishes that I have tasted so far. I would definitely come back for their other BBQ seafood dishes though not quite likely to order from their Cze Cha menu. 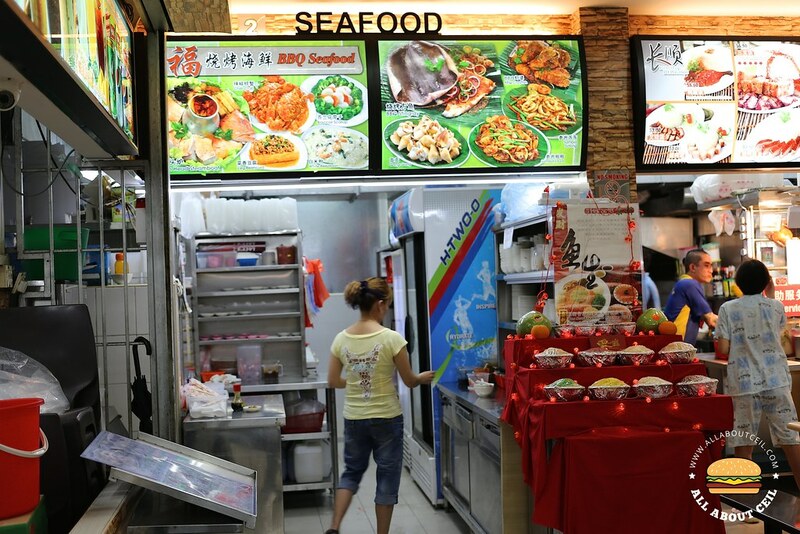 They have 2 stalls at Chomp Chomp Food Centre, 1 stall at Feng Shan Food Centre and another stall in a coffee shop at Yishun as stated on their name card.